The rates for Wilmington NC home sales are forecast to increase a little, possibly by the fourth quarter of this year, he said. The number of Wilmington NC home sales increased somewhat from 2014 to last year, up about 3.8 percent. 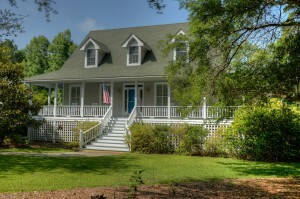 But Wilmington NC homes selling at $275,000 or less are harder to find than others, Harris said. Currently, 2,150 single-family homes are for sale in WRAR’s MLS covering New Hanover, Pender and northern Brunswick counties, he said, and only 962 of those are priced at $275,000 or below. “That’s not a big number to choose from,” Harris said. At the same time, homebuilding activity continues throughout the region. Harris used the example of the 28412 zip code, where projects include townhomes, single-family houses and apartments in addition to new commercial projects. A community that will include 93 patio homes, Heathlands at Echo, is under construction along Independence Boulevard by Hardison Building and American Homesmith. The development falls into a category a lot of buyers are also looking for – homes of more than 2,000 square feet in the upper 200s to mid-300s price range. “That’s a price point that seems to be very active right now,” Harris said. Harris said interest rates continue to make buying a home a better value than renting. Meanwhile, progress continues on The NC Regional MLS, owned by 10 Realtors Associations, including WRAR and the Brunswick County Association of Realtors. The regional MLS signed a contract with FlexMLS, a leading MLS vendor, last year. Harris said the regional effort hopes to have three of the associations — WRAR, BCAR and the Carteret County Association of Realtors — online with the new MLS by the end of January with the remaining associations coming online as their extisting MLS provider contracts expire. Units sold Avg. sales price Median price Total dollars DOM New list. When you are ready to purchase your home or list your home for sale, we are here to make your experience a positive one. Contact us when attention to detail and expert knowledge matter the most.